from one directory tree to another. This is where the computer's users files are kept, This the User’s home Directories. Each user gets their own named directory, and security permissions can be set so that users can view and edit, view only, or if required not even see the contents of other users' home directories. 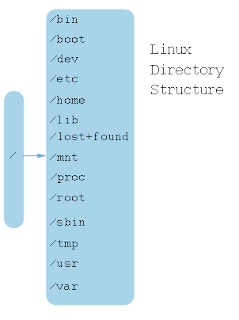 This directory contains the boot information for Linux, including the kernel. The default configuration files for Linux applications are stored in this directory. In Linux, devices are treated in the same way as files, so they can be read from and written to in the same way. So, when a device is attached, it will show up in this folder. 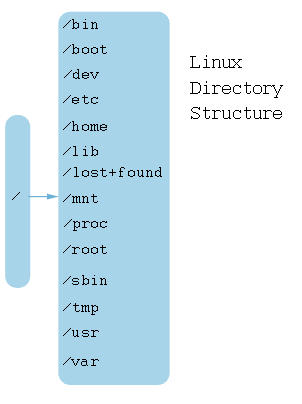 This is Linux's rescue directory, so that in the event of a crash or other serious event files are stashed here to enable recovery. In Linux this is used to mount external disk . This includes floppy disks, hard drives, CD/DVD ROMs and USB card devices. This "virtual" directory contains a lot of fluid data about the status of the kernel and its running environment. Rather than being part of the /home directory, the superuser (or root user)'s directory is placed here. This is where system administration software is stored. Unlike applications in the /bin folder, the root user is usually the only user who can run these. Applications store their temporary files in this directory. This directory is where users' applications are stored, including the executable, and also sometimes the source code, along with any images and documentation. Similar to /proc, this directory contains data concerning the status of running application, including many log files. This is worth knowing, because these can be viewed in the event of a system error to help in diagnosing the problem.